This vibrant Mariner Chain fashioned in Sterling Silver is a unique and elegant look for any man. 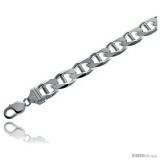 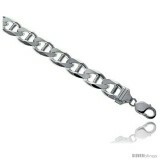 This Silver Flat Marina Chain is Made In Italy, and of Highest Quality. 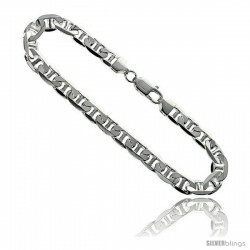 It is 17/32" (13.5 mm) wide and it comes with a Lobster Claw Clasp for Security. Completely NICKEL FREE, it won't cause any allergic reactions due to contact with nickel.